It's The Hap-Happiest Season Of All at the Hap-Happiest Place On Earth. There's just something about the Holidays that feels magical, right? Then there's something about DISNEYLAND that just takes the magic to a whole other level. Every family I know goes at least once a year during the holidays, because it is just so AMAZING! We are all transformed into little children filled with the Holiday Spirit. Where all things are possible, and all of your dreams come true... even if just for the day. And lucky for me, Santa brings me a DISNEYLAND ANNUAL PASS every year for Christmas! It is BTW the Ultimate Holiday Gift that continues to give all year long! 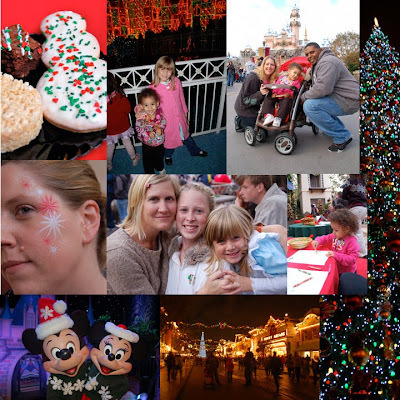 You can feel the holiday magic for yourself until January 3rd. PS Disneyland is also a Wonderful way to ring in the New Year. We've spent December 31st there a few times & it's Awesome! and I invite you to do the same. It`s all about how to select a correct partner utilizes your money in a right way - that`s it!. BTW, use GSM blocker to disable all spy transmitters in your home or at work.